In the past couple of years, life has thrown us some serious curveballs. Throughout everything that has happened, the thing that has gotten me through is hearing people’s stories. I love listening and learning the whys and wherefores of people’s lives. Unfortunately in the midst of heartbreak, something else has broken. My filter. So sometimes I ask things I shouldn’t or say things maybe better left unsaid. This is where I give thanks for the grace given by the folks around me. Grace abounds in the circles I run in–I hope it does for you too. So here are my stories. And please, as you read, remember that my filter is broken. That was almost the name of this blog. But I was a little worried of what exactly folks would expect me to say. Uh ummm. Another favorite was “no longer worried about a whoopin”. However, I have enough aunts and uncles and cousins of my Mama’s around whom I think might take me to task if I get full of foolishness. So here it is. I think it will be cathartic for me to share these stories and to hear yours when you feel like sharing them with me. Or. Maybe. I might need a nap. That’s really the best time for sharing stories, isn’t it? I like “No longer worried about a whoopin!” But just the other day I heard my daddy saying, “You’re not too old to spank.” I’m 44. Ooooh I love naps! And I love the premise (and title) of your blog – thanks for following mine! I love the premise of yours, and I am inspired by what I have seen and read. Thank you for reading and for your kind words. As for naps, it’s hard to trust folks who don’t love them, isn’t it? 😉 Best wishes. I so enjoy your writings about your mom and dad. My parents have been gone for at least ten years but I still miss them every day. Thankfully I have a loving sister and brother to enjoy time with and talk about good times with our parents. Thanks for your stories. Thank you for reading and saying hello. That means so much to me. I am so sorry for your loss. I am glad you have wonderful siblings to share memories with. I feel lucky to have mine too. I appreciate your sharing your story. Please come visit again. Best wishes. Pingback: What Are You Afraid Of? I absolutely love the title of your blog. It’s creative and oh so accurate for a homeschool mama! Thank you! I appreciate you stopping by. 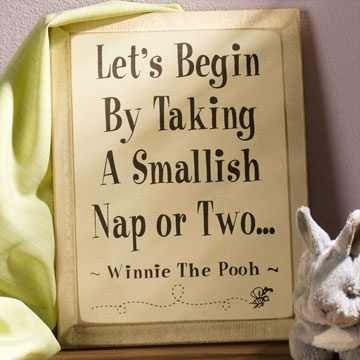 Yes, I just about always need a nap, but it’s not always in the lesson plans. 😉 Hope you’ll drop by again. Tara, I am sooo excited to read your blog, even though I may not have time, I still read. I always wonder why God puts certain people in my life. You are one of those that I especially thought about when we met that summer day this year.